Grows with your business when you add more services, walkers or sitters. 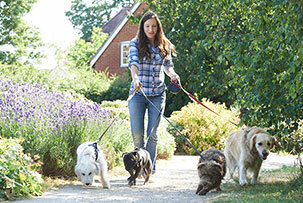 Manage your business with ease All the functionality you need for your dog walking or pet care service, such as offering repeat bookings for regular customers or sending customized notifications to remind them about their pet care needs. Customers can self-schedule Save time by predefining how and when customers can book appointments in your schedule themselves. Configure alerts to notify you when and if changes are made. Collect pet care information Need to gather details (such as whether dogs can be walked in groups, or need to be kept separate)? 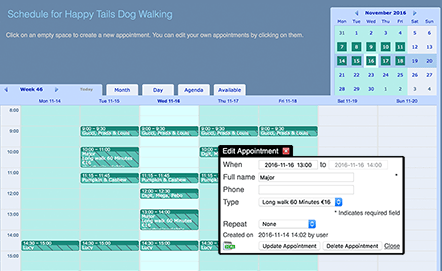 You can add customized forms to your appointment schedule for pets’ needs and requirements. Design according to your style Keep your branding consistent, add your own logo and change the color scheme. 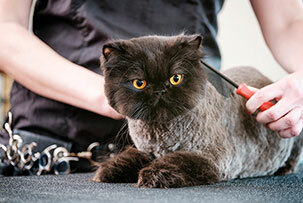 Customize the look and feel of your schedule for a professional service appeal. Encourage your customers to bookCreate promotion packages (“Book 2 dog walks, get 1 free!”) or pricing options for booking off peak times in your schedule (“15% off between 09:00 and 11:00”). We have used SuperSaaS for signups for many dog training classes and both trainers and students have been quite happy with the functionality! When I stumbled on SuperSaaS I couldn’t believe it! In 10 minutes I had it set up and have been raving about it ever since. My clients find it incredibly easy to use. I highly recommend it. Fantastic job! Your software is easy to learn, easy to use, and does just about everything I need it to. Thank you for making my work a whole lot easier.